On Innovation and Qualitative Progress: A Rant | Eagle Gun Range Inc.
Read a bit about firearms and related products and you’ll see the term “innovative” thrown around here and there. Given the almost entirely stagnate disposition of the firearms industry, that term is almost always misused and misapplied. These firearms and the platforms they created were truly innovative. Some perhaps even revolutionary. The advent of some of these innovations brought significant consequences to both the industry and the world. These innovations haven’t been world-shaking events, but they brought great improvements to what came previously. But that’s about it. I’m probably forgetting one or two others here, but one could argue, as I am, that beyond these examples there has been no consequential innovation in the firearms industry in quite a while DESPITE the huge piles of cash the public has invested in firearms and related products in recent years. And before someone thinks or says it, no, the contemporary so-called “smart guns” are in no way innovative. “Smart Guns” are nothing more than a poorly disguised attempt to destroy individual liberty. Nothing more needs be said. 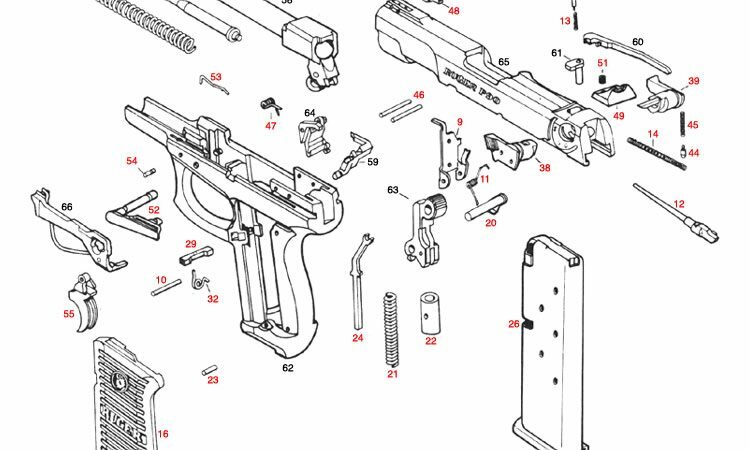 Firearms manufacturers could actually innovate and bring consequential improvement to basic components, but they don’t. It is far easier and far less expensive—and less risky (just ask Remington)—to merely change current models and technology slightly by way of an entertaining and often over-hyped dance around the objective measures of firearms excellence. This is just one example. I really like Springfield Armory products and I don’t mean to knock them or this particular rifle here, but this “take the industry by storm” hype for a basic, inexpensive rifle is just wrong. They say in ads it’s “the next generation of America’s personal defense rifle,” but it’s not. It’s a low-feature, throwback rifle. This is what they do instead of actually innovating or improving. Hype is cheap. They could, but they don’t. Ever wonder why every pistol you try has good and bad features? I do. I don’t mean features that fit or don’t fit your hand or mission. I mean features that are objectively good and objectively bad. I wonder that all the time. For instance, Glock pistols come with objectively inferior plastic sights. They don’t have to do that, but they do anyway. Glock even makes iron sights, but they don’t put them on their own guns. That’s not a brand standard, it’s a quality failure. These sorts of quality failures abound in the firearms industry. Every polymer-frame pistol manufacturer could design proper texture into their frame grips, but they don’t (One exception! The new M&P 9 M2.0 has a properly textured grip. As such, it is the first pistol in history sold with this feature.). Instead they trifle with cool-looking, graphic-like texture elements that have nothing to do with and which in no way influence grip traction. A carry-size pistol is a deliberately made lifesaving tool, yet every gun manufacturer designs grips that will be very likely to fail you if it happens to be raining or if your hands are sweaty or bloody when you use the pistol to save your own life. The message here is that firearms manufacturers care more about cool-looking visual design than about your ability to defend your life. Every pistol manufacturer could craft a comfortable, adjustable, and ergonomic grip for their firearms, but they don’t. Instead they dance around the qualities of ergonomics and hand fit, with largely ineffectual remedies that seem innovative and yet fall far short. Some manufacturers (Heckler & Koch) do better than others (Glock), but why not just solve the issue rather than doing little or nothing about making a fantastic grip? Every pistol manufacturer could design their pistols with a low bore axis. But they don’t. Bore axis is consequential and a low bore axis is objectively better, often far better, than a high bore axis. Instead of fixing this flaw, they bring other qualities to their pistols (Hello, Sig Sauer P320) to try and compensate for being otherwise fundamentally flawed. Every firearms manufacturer could craft a high-quality trigger of objectively appropriate or preferentially appropriate weight and action. But they don’t. Instead they dabble in ridiculously small incremental improvements or ineffectual variations in trigger action and feel. Why not just work to make sure your pistols all have fantastic trigger action, weight, and break characteristics (even if graduated according to price point)? The point is they don’t do these things. Instead, they design for a cooler look, add superfluous features, and otherwise try to make it look like they’re addressing an important issue…all without ever addressing vital elements of excellence and quality. In the mean time, we make do with what they offer us and do our own modifications or pay armorers to upgrade or fix the components. I’m not saying this is a crisis. I’m saying this is embarrassingly inappropriate for such an important and well-funded industry. As I write this article, CZ is in the process of releasing their new polymer-frame pistol, the P10 C. Interestingly, this pistol would seem to be an answer to many of the mechanical and physical shortcomings found on most other pistols. If it proves to be a genuine upgrade or innovation, I hope it puts other manufacturers on their butts, allowing CZ to leave them in its dust. There should be a price to pay for lack of innovation or consequential improvement. I sincerely hope that lazy manufacturers soon begin to suffer from and succumb to these pressures. That said, and with history as my guide, I don’t have any confidence they will.